It’s not just a consumer electronics showcase anymore. Carmakers want to turn the next iteration of the Consumer Electronics Show, scheduled to kick off on Jan. 6, into part auto show, part technology showcase. 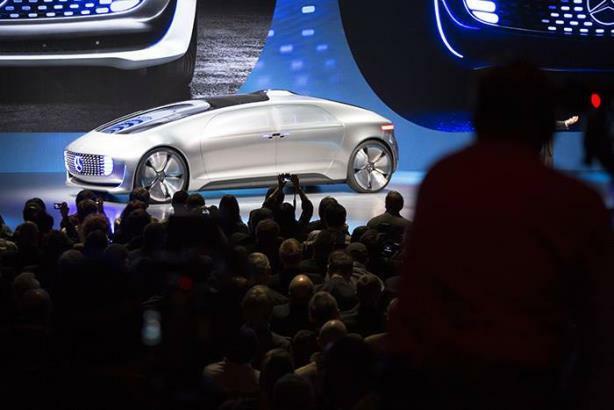 Companies such as Ford Motor, General Motors and Volkswagen say CES 2016 will be a showcase for the latest advancements in in-car connectivity, electric mobility and self-driving cars. Six other vehicle manufacturers are planning to take part in CES: Audi, BMW, Fiat Chrysler Automobiles, Hyundai, Mercedes and Toyota. "We wanted the opportunity to really engage in different ways and with different people as they move through the show," Flake says. Ford Motor president and CEO Mark Fields will kick off CES press day on Jan. 5 with its first press conference. Later, he’ll join the automaker’s other senior leaders for a dinner with key media, such as The Wall Street Journal, Re/code and Engadget. "CES has proven to be a really good venue for connecting with tech media. We want to show them how we’re moving from an auto company to an auto and mobile organization that is trying to innovate at the speed of tech," Flake adds. She notes that Ford has expanded its scope at CES ever since debuting at the show in 2007 with Microsoft’s Bill Gates. Many consider that moment the first big showing from an automaker at CES. Chevrolet has done something at CES for the Past four years.